Higher education officials are now complaining about the high cost of providing security for appearances by controversial speakers. But if the nation’s universities want to start getting their security costs — and their campuses — under control, they are going to have to step up the penalties for students who break the law. Earlier this month, Florida Gov. Rick Scott declared a state of emergency in advance of a speech by white nationalist Richard Spencer at the University of Florida. Mr. Spencer had participated in a white supremacist rally in August in Charlottesville, Va., which culminated in a violent clash between protesters and counterprotesters, as well as the death of one woman. In a recent interview with The Associated Press, University of Florida President W. Kent Fuchs accused Spencer of “hijacking” public universities. As The Washington Post notes, Mr. Spencer wasn’t invited to speak by the university or its supporters, but rather allowed to speak after university officials begrudgingly acknowledged his First Amendment right to speak at a campus venue rented out by the university. While Mr. Spencer’s National Policy Institute paid $10,564 to rent the venue, a university spokesperson told the Wall Street Journal that the school had to pay more than $500,000 to cover the cost of hundreds of officers from at least 44 agencies — some from as far away as Miami — as well as command centers, technology, room and board for officers and extra barricades. The Journal notes that other schools have had to shell out big bucks, as well. Rutgers spent $275,000 when Barack Obama spoke there in 2016, Texas A&M University spent $60,000 when Mr. Spencer spoke there last December, and Cal-Berkeley spent more than $2 million to provide security during appearances by conservative commentators Ann Coulter, Ben Shapiro and Milo Yiannapoulos. Mr. Spencer’s event resulted in a handful of arrests. Protesters ripped down light poles and tossed Molotov cocktails during Mr. Yiannapoulos’ speech in February. Things were a bit more calm during Mr. Shapiro’s speech in September, though nine protesters were arrested, some carrying banned weapons. 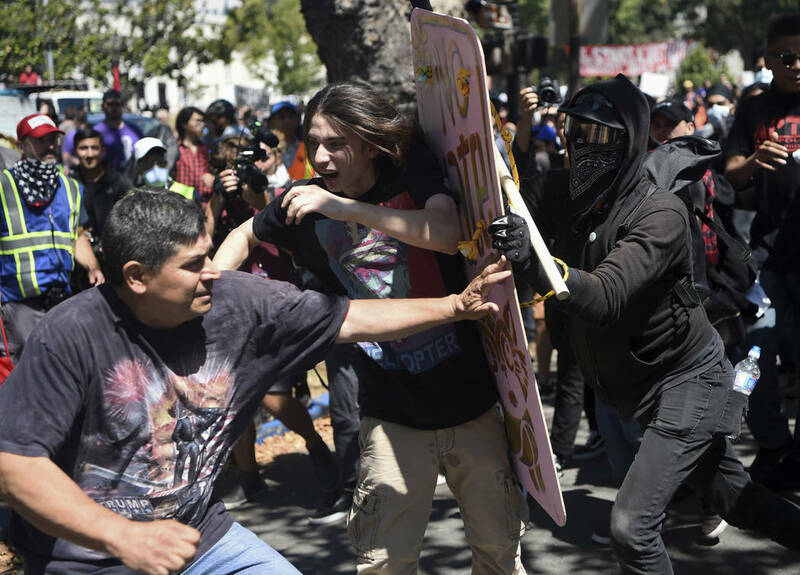 While campus protests can provide an essential platform for vigorous, heated and (usually) safe debate, they are increasingly fostering a climate of chaos that outside agitators exploit to promote their increasingly violent agendas. And students have become too willing to fan the flames. Controversial speeches need to be seen as nothing more than that: speeches. But if colleges want to get security costs under control, they need to send a clear message to students — and outsiders — that those who break the law will face the legal consequences and even expulsion rather than slaps on the wrist from cowed administrators.